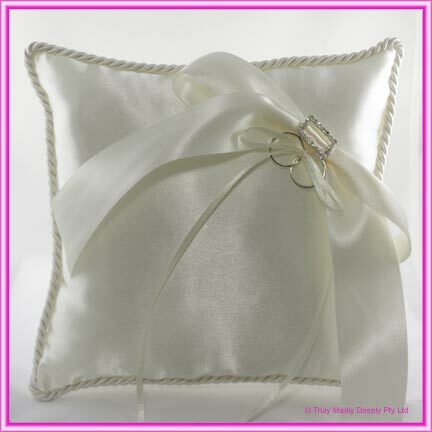 It features a lovely ivory satin cushion with ivory roped edges. There is a large ivory satin bow that is set with a rectangle diamante buckle. The buckle is a quality product with glass diamantes and set in a metal clasp that doesn't tarnish.